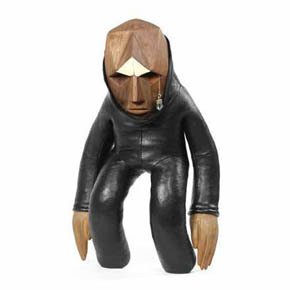 Blamo Dolls are eccentric creatures made from natural materials like leather, wood, and brass. Each one of these dolls is crafted by hand with care, and thus are 100% unique with no two being completely the same. According to their website: "Our creatures are alive in our minds, quirky yet substantial... Each inhabitant of Blamoville has his or her own unique personality and backstory, and we spend many hours getting all the details right." 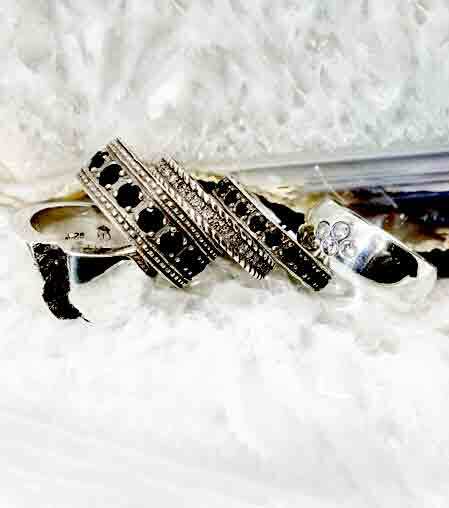 This Whitewash Skullstonaut is here for a limited time only. Featuring a canvas suit, glass helmet, hand painted skull with wood hands and boots, this completely handmade toy would be the perfect addition to your collection. 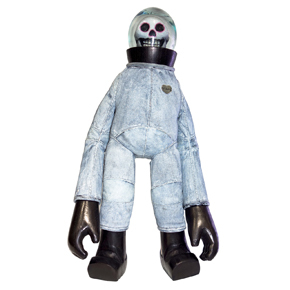 This unique doll by Blamo Toys is a special edition of their classic Space Baby. 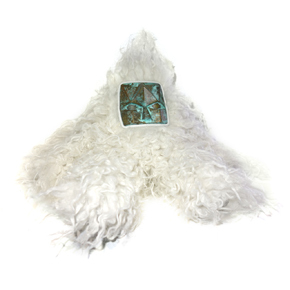 The Furry Space Baby features faux fur, brass face, and weighted feet. 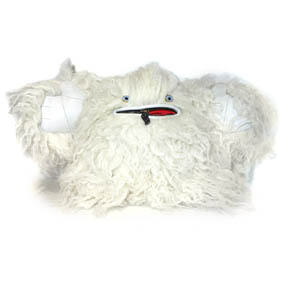 This unique Yeti Hug Doll by Blamo Toys features soft faux fur, taxidermy eyes, leather hands, and a signature tongue zipper pull that opens up the pouch inside his mouth! Feet are weighted with plastic beads to help the doll stand upright. Rev is described by Blamo Toys as "a little fox loves to play and always wins at games of speed and cunning." 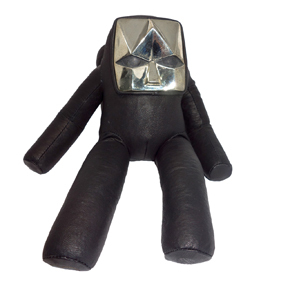 Rev has a hand cast brass face, a black leather body, and he stands at 5â€³ tall and 5 1/2â€³ long. This limited edition White Brass Space Baby comes from Blamo Toys and features a hand cast white brass face and a body made from high quality leather. Space Baby measures 12â€³ from head to toe and has weighted feet. 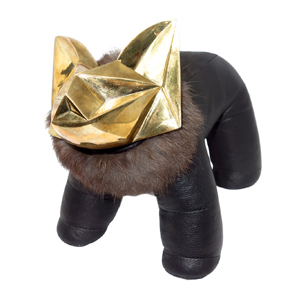 Echo is a rabbit-like chimera doll made by Blamo Toys. 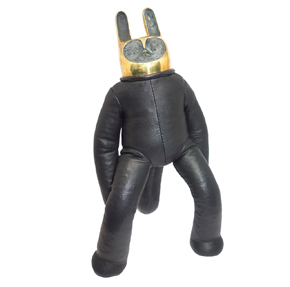 Measuring 13â€³ from head to toe, this unique doll features a body made from high quality leather and a hand cast brass face.